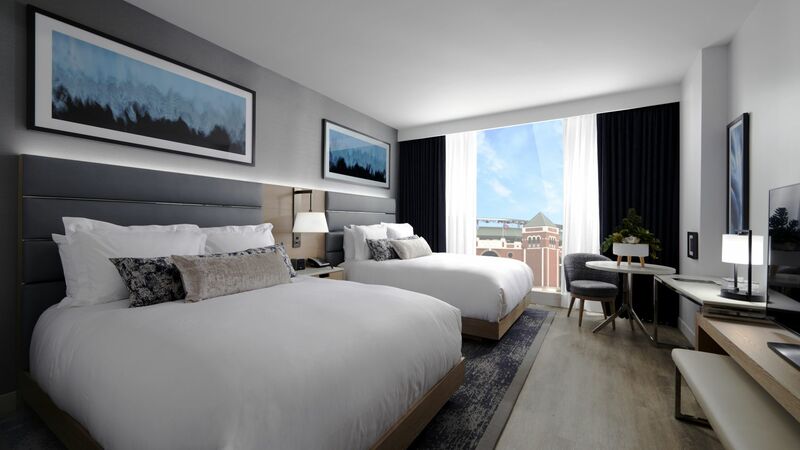 Stay in the heart of Arlington at Live! 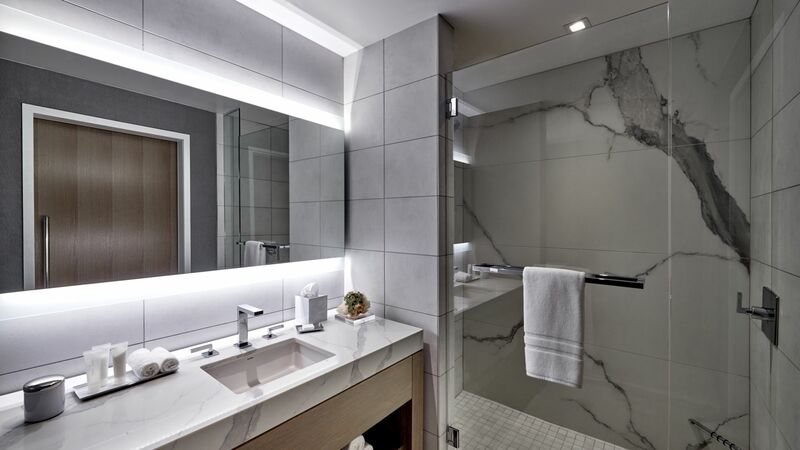 by Loews and enjoy being part of the most exciting new development in the city. 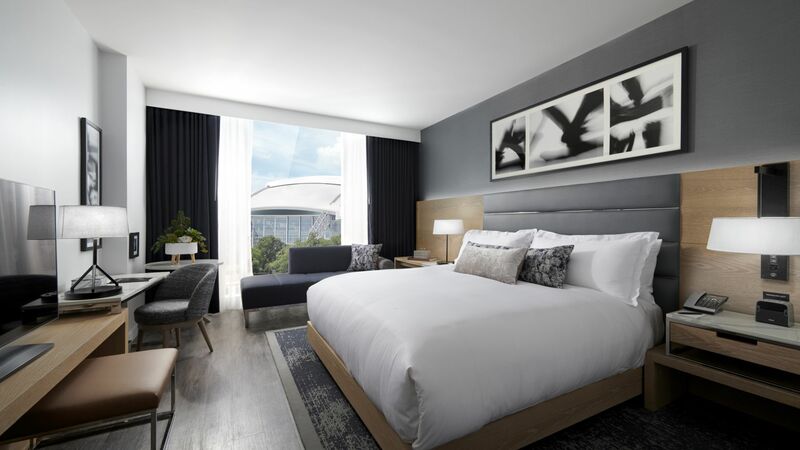 Each of 300 luxury guestrooms, including 23 suites, has floor-to-ceiling windows offering views of our neighbors here at Texas Live!, including the current Globe Life Park, the future Globe Life Field and AT&T Stadium. Spacious layouts, natural wood surfaces and comfortable lounges and beds create a warm, soothing residential feel, and naturally, we offer all the latest technology you need for a smooth and seamless stay.